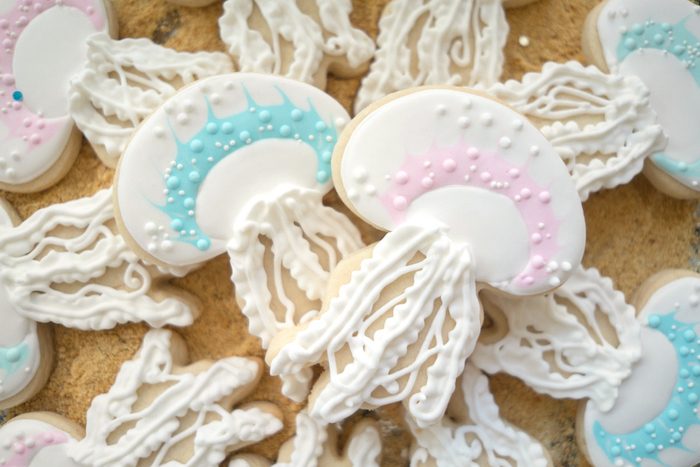 Subtle, neat and ever so sweet! 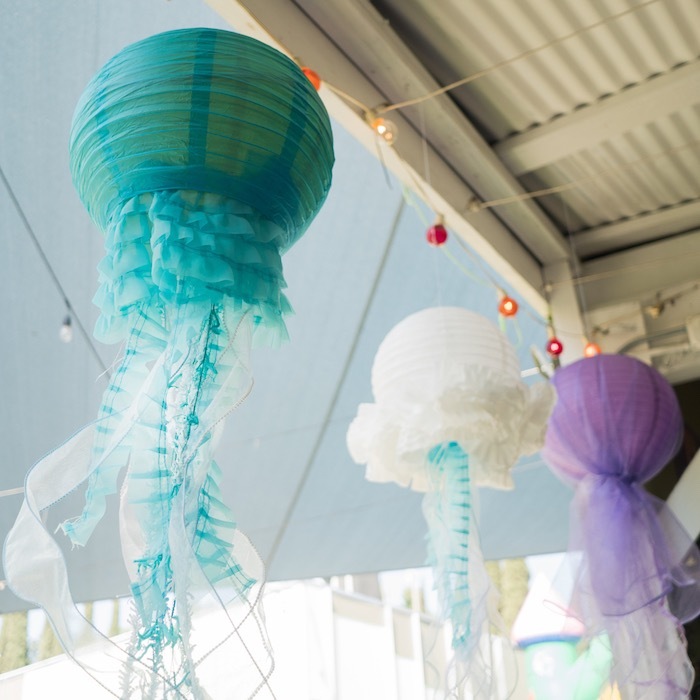 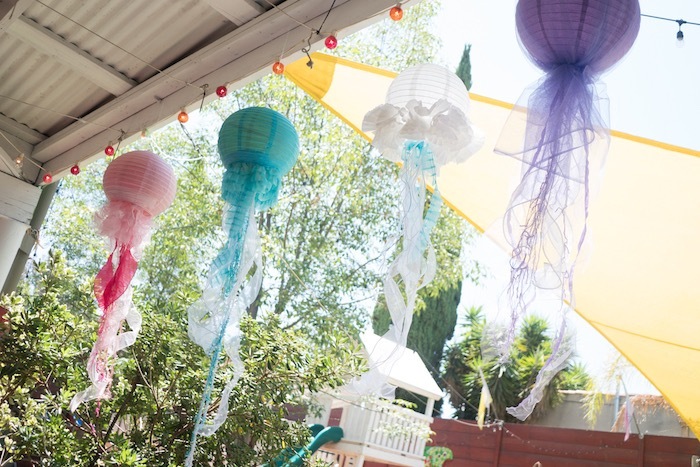 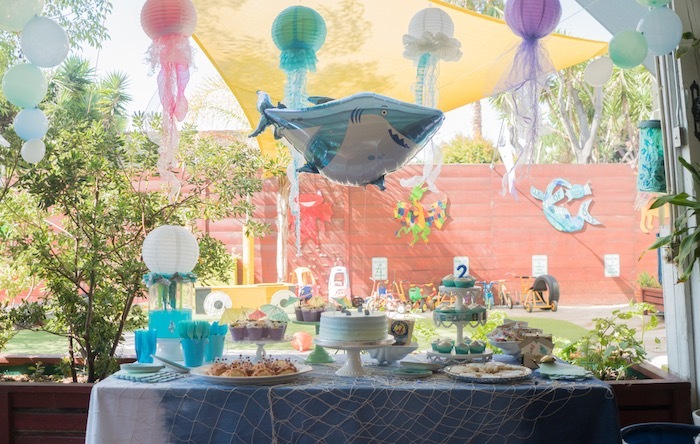 These are the words that swim through my mind, while looking over this Ombre Under the Sea + Ocean Birthday Party submitted and styled by Royale Ziegler of But First, Party! 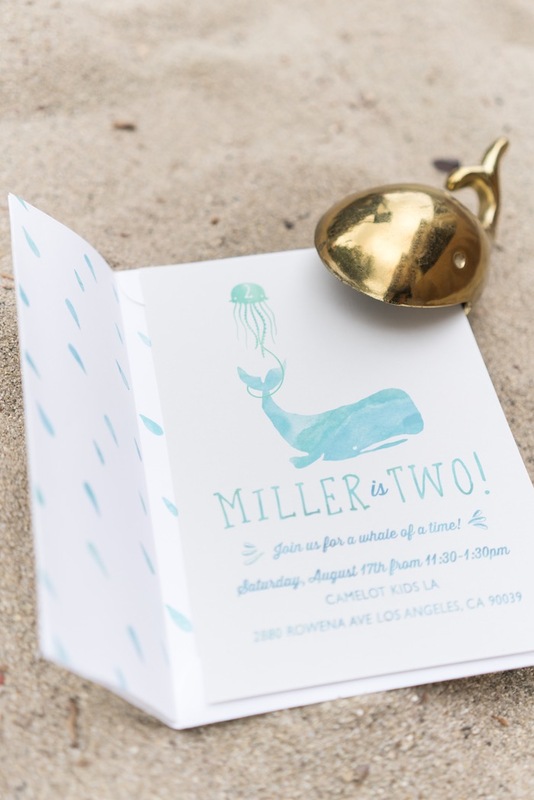 out of Los Angeles, CA! 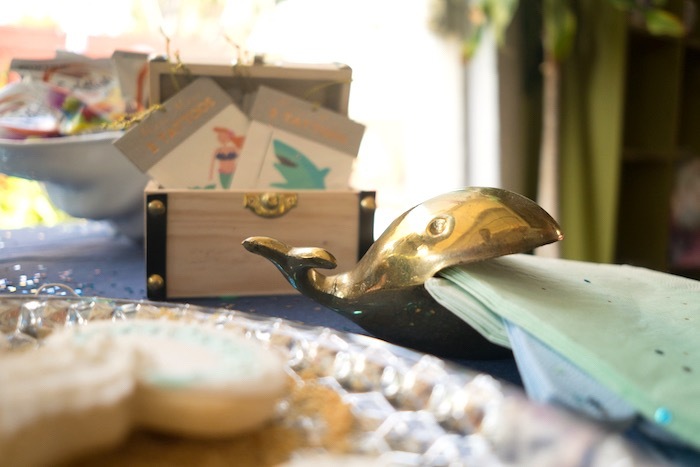 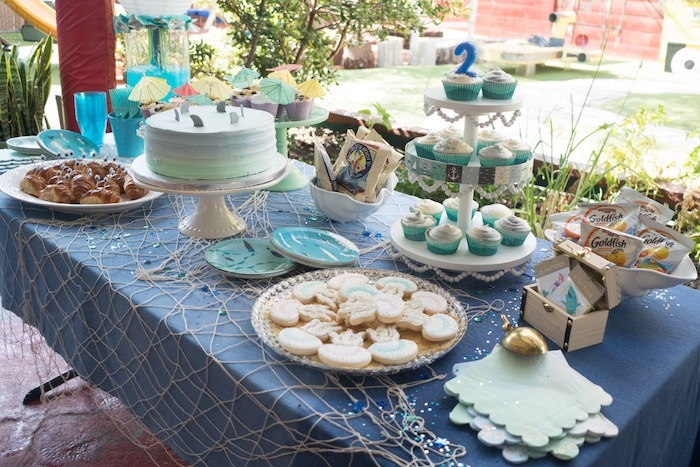 Filled to the top with darling under the sea inspiration; this second birthday party, with its adorable sweets and cute decor is sure to make a splash in your memory! 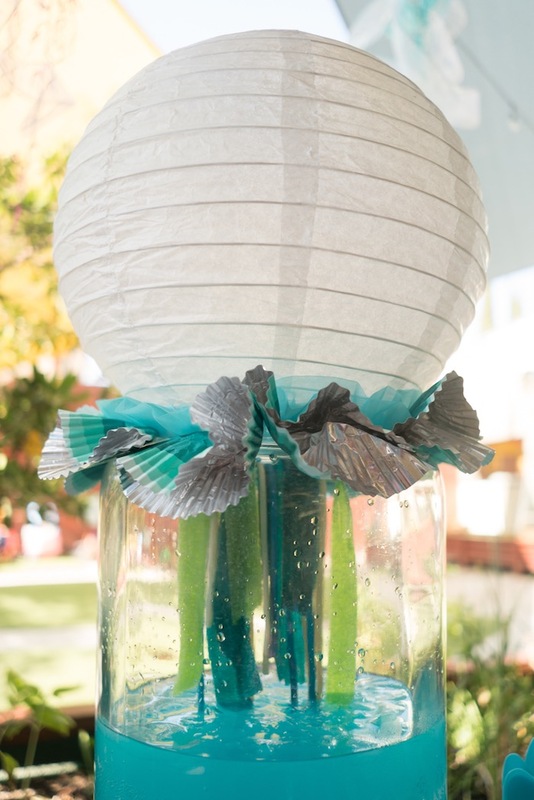 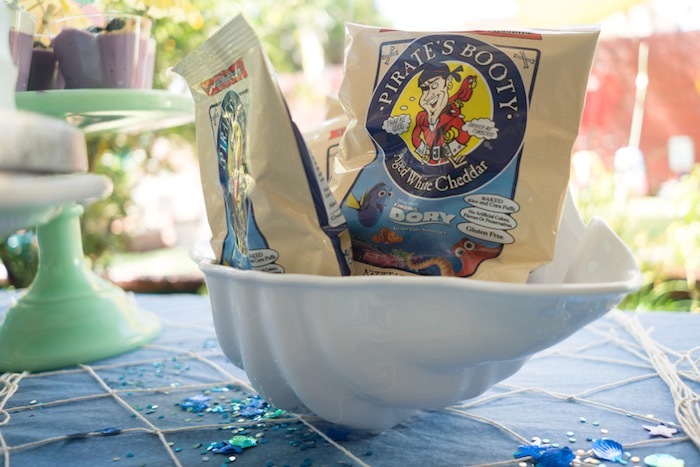 So, dive on in to see the mysteries that lie below… To a place where under the sea party ideas certainly flow! 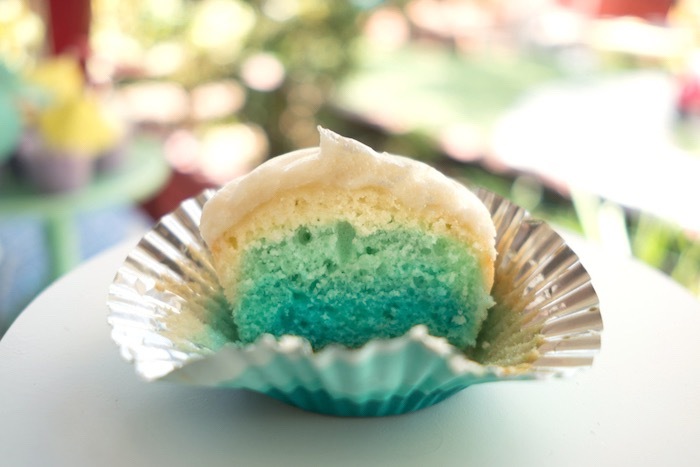 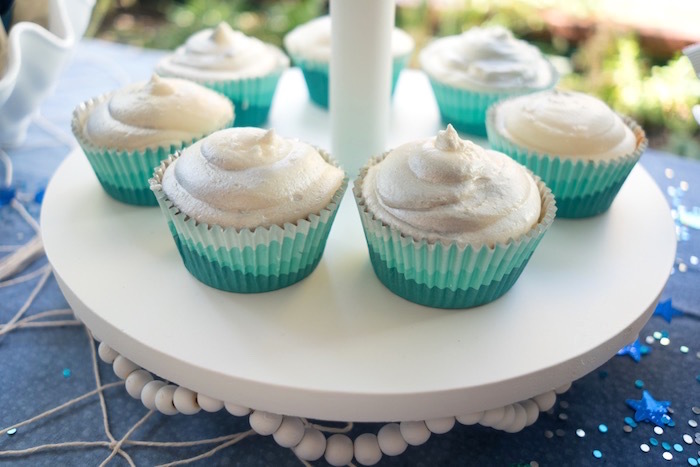 And scrumptious-looking blue ombre cupcakes! 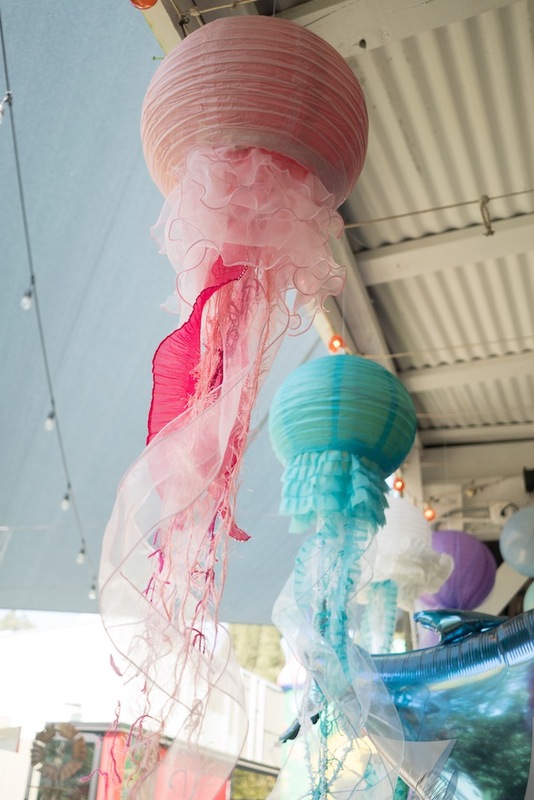 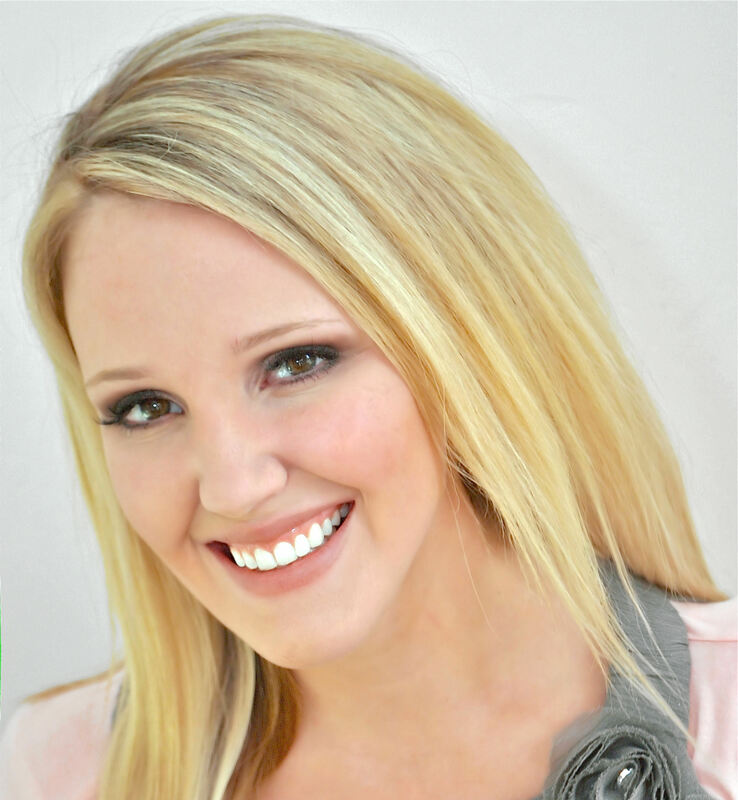 Event Design: But First, Party! 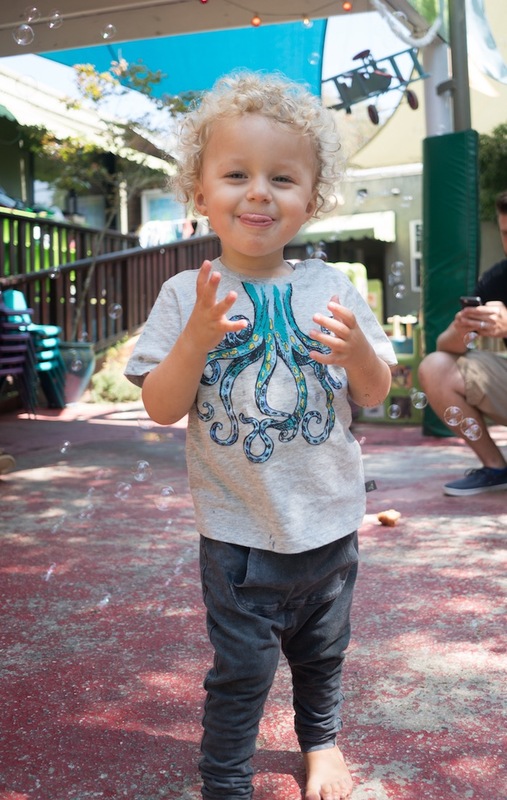 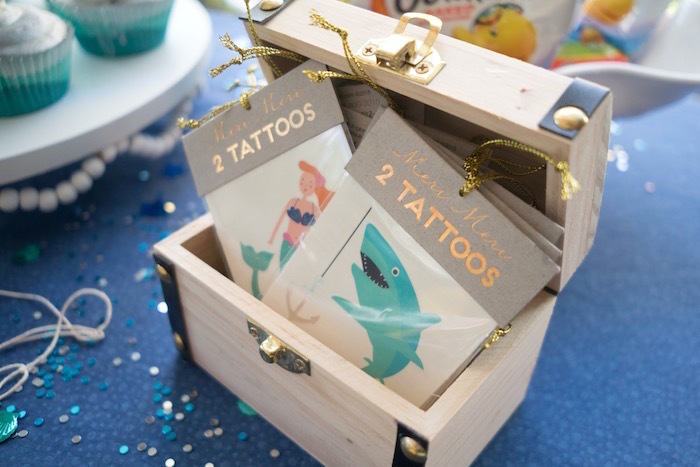 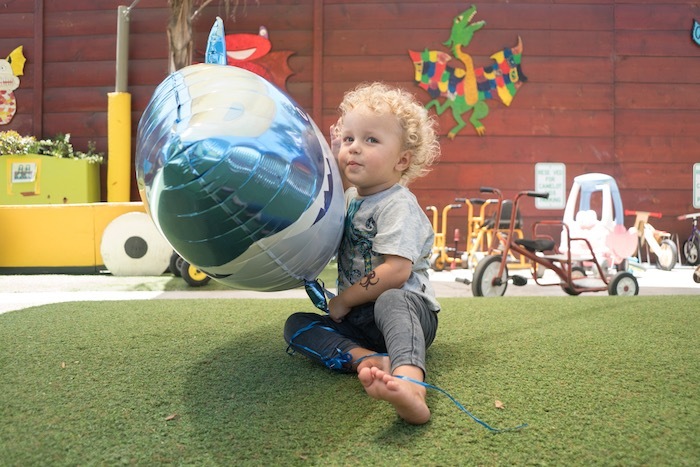 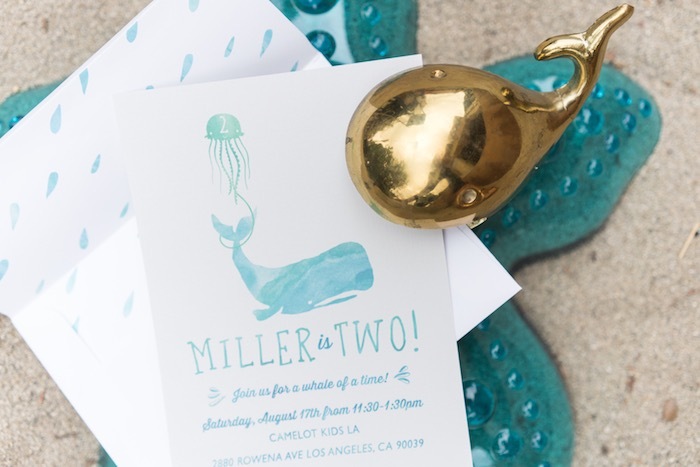 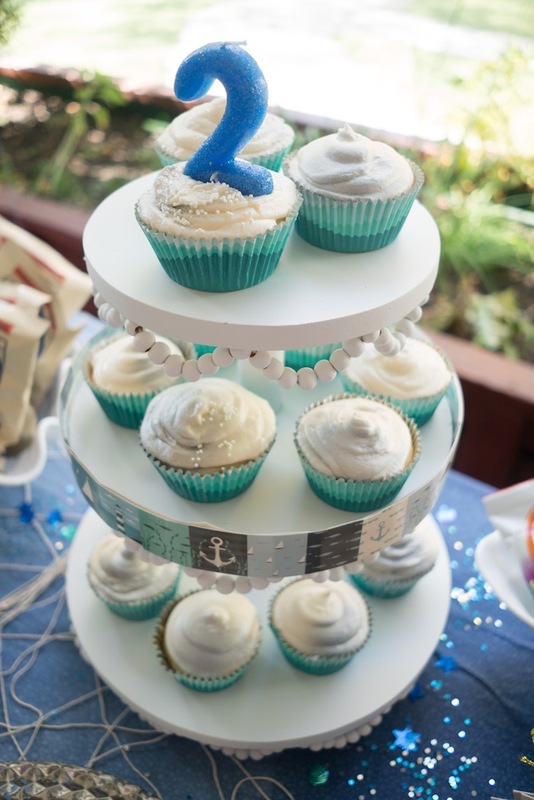 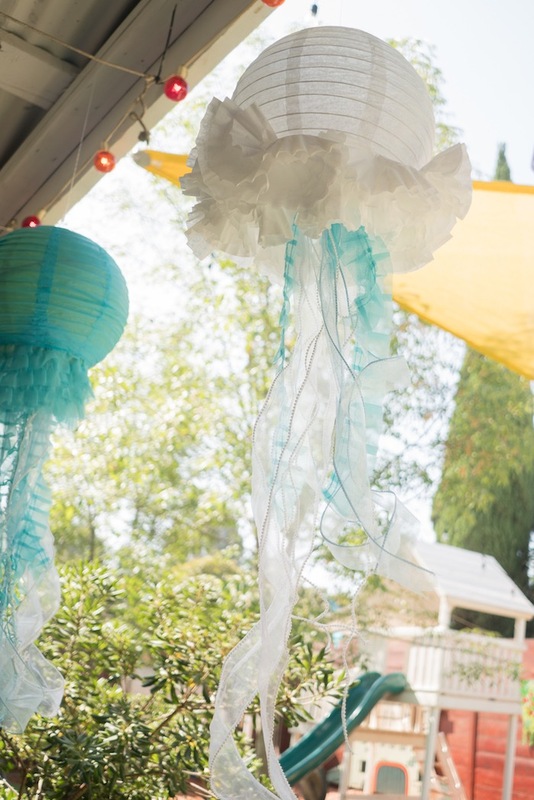 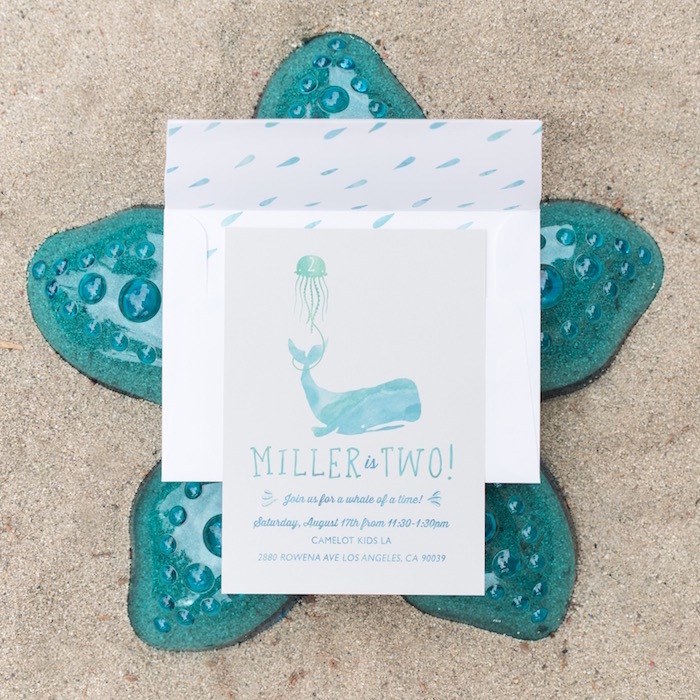 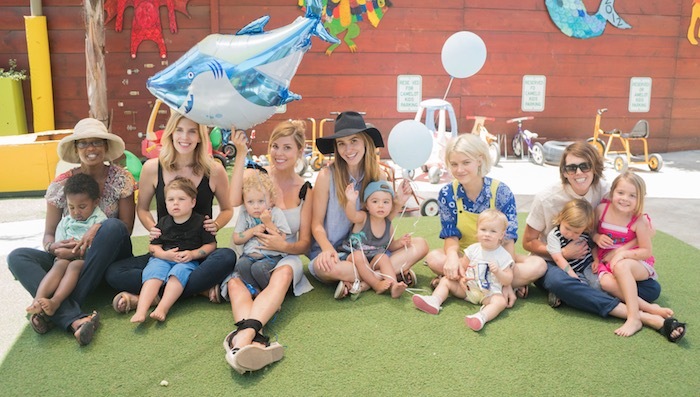 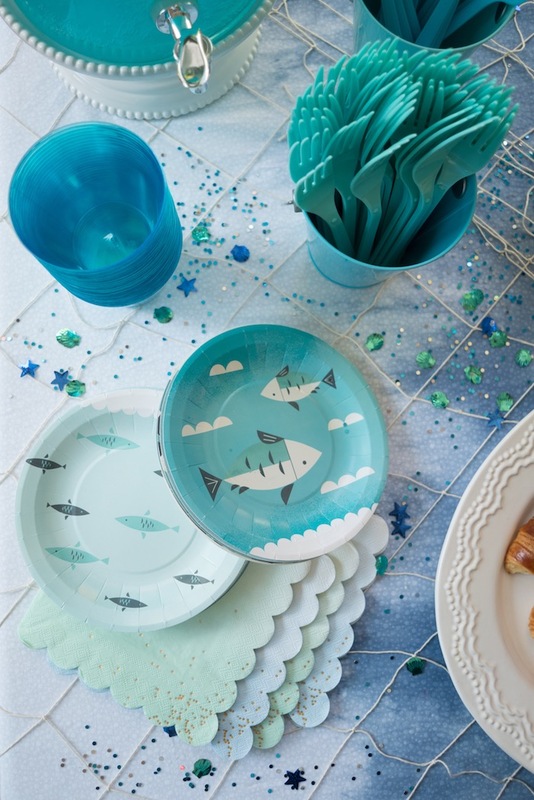 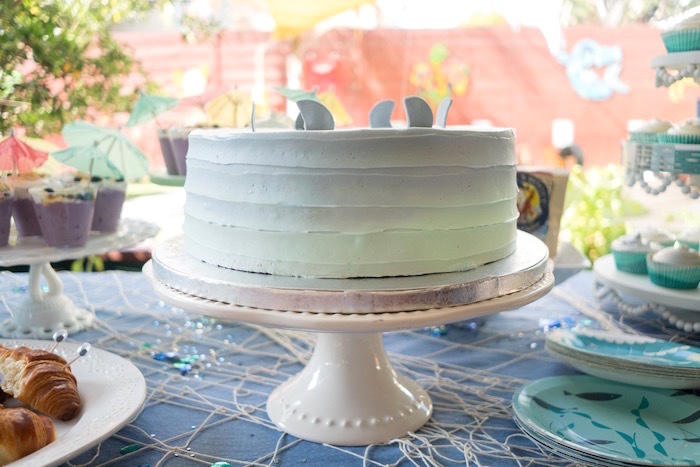 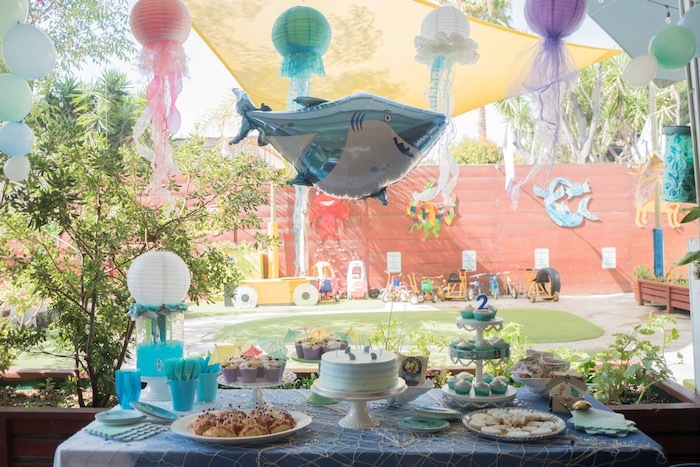 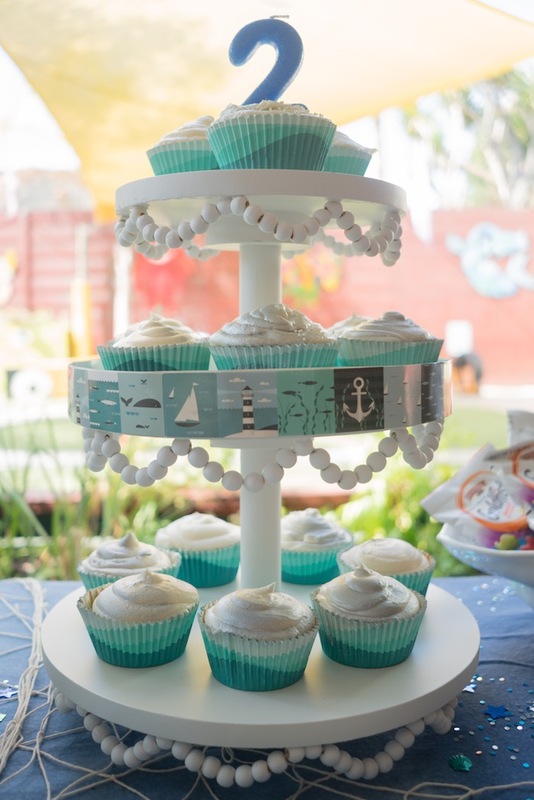 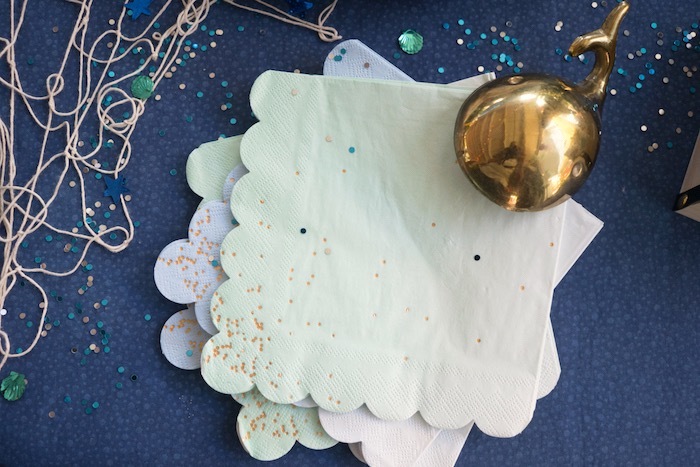 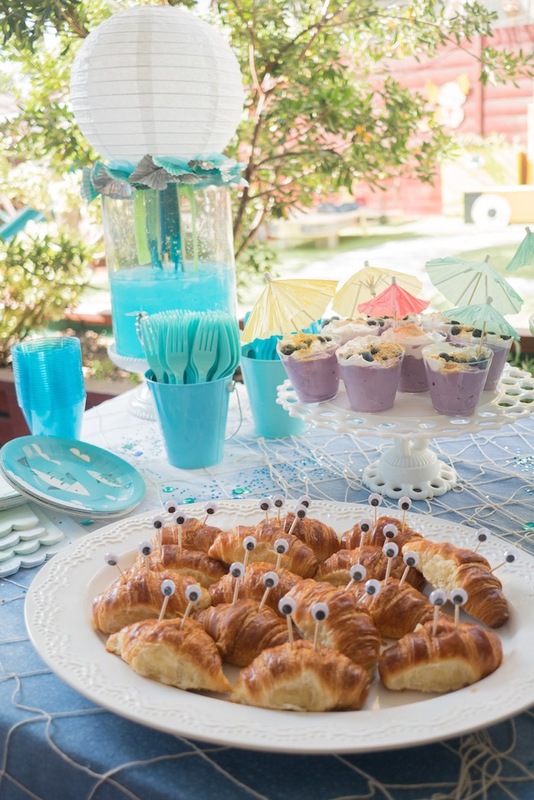 This is what Royale shared about the party- “For Miller’s 2nd birthday party, we knew we wanted to take a modern approach to the ‘Under the Sea’ theme, while incorporating just as much sweetness as shark. 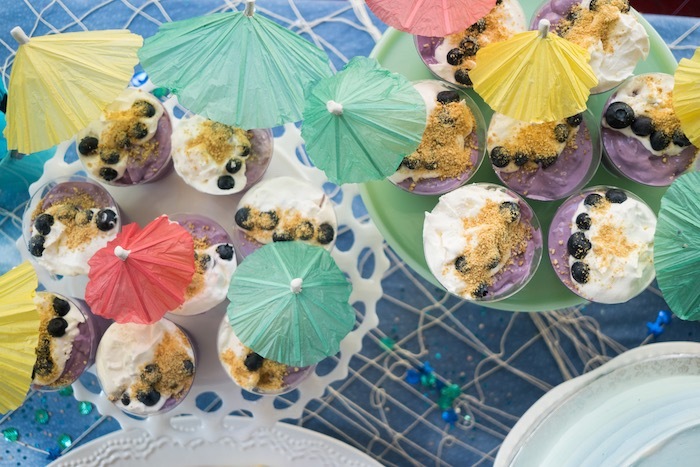 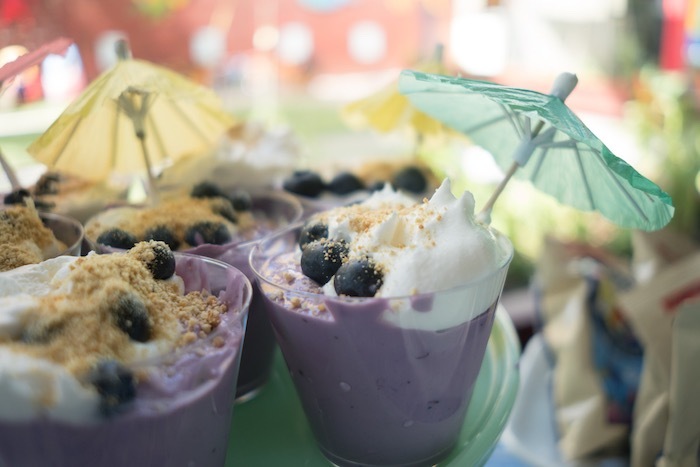 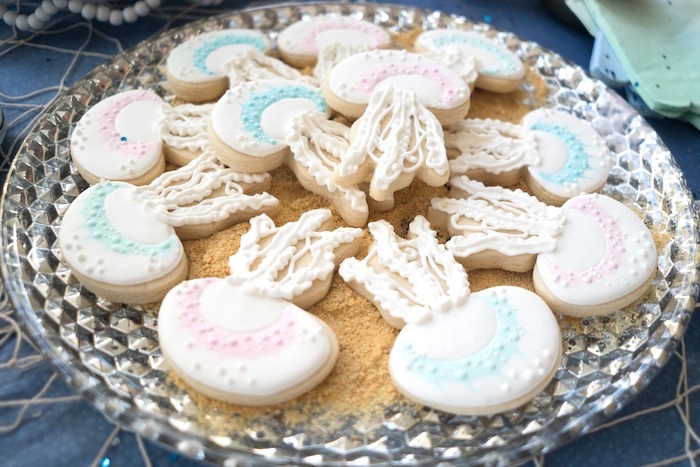 Keeping the food brunchy for this morning party, we served up mini blueberry beaches with graham cracker sand, whipped cream surf and pretty parasols. 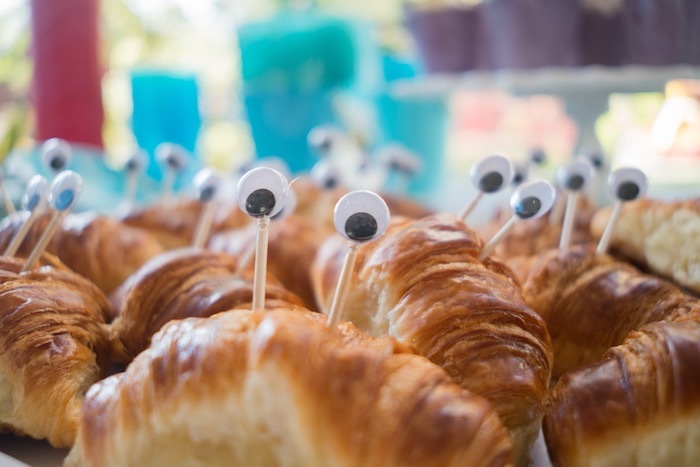 The crustacean croissants were a huge hit with the kids, who went gaga for the googley-eyes. 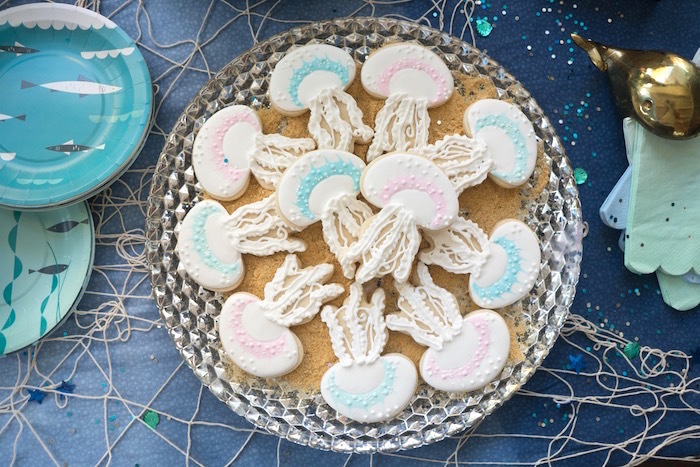 For dessert, the kids sunk their teeth into insanely gorgeous jellyfish cookies, layered ombre cupcakes and a beautiful blue ombre shark fin cake. 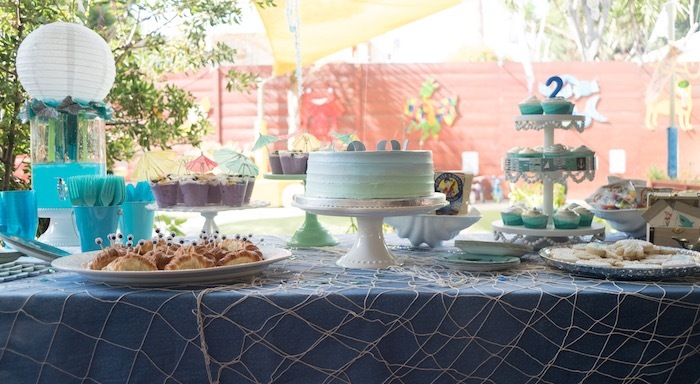 The spread sat atop a hand-dyed blue ombre tablecloth and fishnet.